Chevrolet Camaro: Wild Ride has everything it needs to be a racing game: tracks of decent lengths and variation, plenty of cars to pick from, and enough tough competition to take you to the edge of your seat or make you swear up a storm, or both. So given this, does it offer anything in particular to set it apart from all the rest? No, actually, it doesn’t, but I can’t make a claim like that without explaining why. So, allow me to explain why. 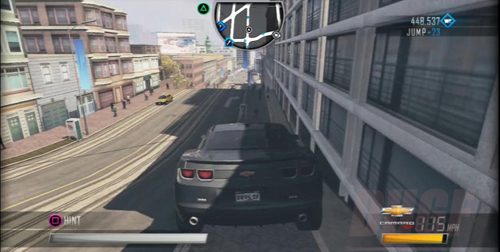 Chevrolet Camaro: Wild Ride has a few basic modes. 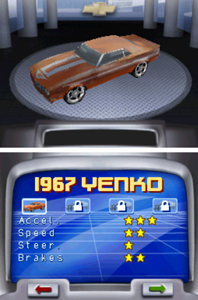 From the main menu, you can access Camaro Mode, Options, Records, and Time Attack. The first on the list is like your basic Story mode in other games: you’ll do most of your racing and other challenges there, and in so doing, you’ll unlock other cars and tracks. When you start out, you have access to just one race track, but the formula that follows once the other tracks are unlocked is the same. You choose your track, after which you select which of four challenges you wish to undertake. The first, Competition, is where you race against four AI-controlled cars and the place you’ll be spending most of your time. There’s also Checkpoints, wherein you must pass the finish line by passing through the titular objects; Cones, where you have to hit so many road cones in only so much time; and Speed Limit, in which you must reach your selected car’s maximum speed before you reach the finish line. Completing the challenges will give you a certain number of points (e.g. 500 out of 1500), and how many you receive depends on how well you perform. 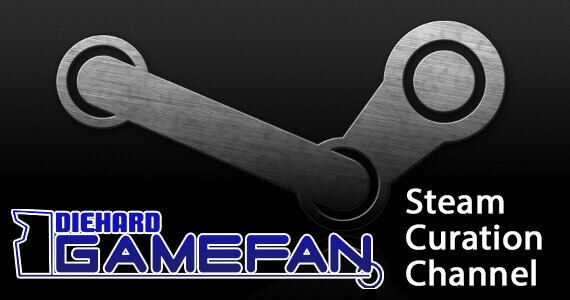 You’re only allowed to earn so many points per challenge, though; so once you see that 1000/1000 after completing one of the Cone challenges, for instance, you won’t be able to gain more by running through it again. Over time, the points you earn will unlock more cars and more race tracks. The second item on the main menu is the Options, where you can adjust a few different settings of the game. One of them is the gearbox that lets you choose between automatic and manual. By default, this is set to automatic, and you’ll be doing yourself a favor by leaving it that way. The next option is Units, where you can set the speedometer to read in miles per hour or kilometers per hour. The next three “â€ Music Volume, SFX Volume, and Credits “â€ are self-explanatory. In a similar vein, Records and Time Attack are directly related, as the former keeps track of the different times you set in the latter. 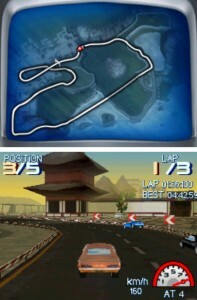 Time Attack Mode also gives you access to all nine tracks that are in the game, and you have another option to run through it either normally or in reverse. Since you’re not competing against the AI here, Time Attack Mode can be oddly relaxing… and you can take the time to learn the course before you try the Competition challenge. All told, the options I’ve thus discussed are the same basic ones you’d see in other racing games. They do their job; they just offer no surprises. Seeing as how there’s a Wii version of this game, I can only assume the somewhat bare-bones nature of the DS version is a result of its being a supplement of the main product. If that’s true, then it shows. The graphics are pretty good, considering that this is a 3D title on a handheld. The three main tracks “â€ Asia, Europe, and USA “â€ are lengthy enough for you to see plenty of the surrounding details that have just enough variation to distinguish each of the tracks from each other. The cars in the Competition challenge are covered in bright colors so you can tell them apart easily from the backgrounds and the roads. You won’t have a problem even if you happen to pick a color that’s the same as another car on the field, as the camera angle makes it very clear which one you are. Sadly, you’re usually the car that lags behind all the others at the beginning, but I’ll talk more about that in a bit. Let me clear up something before I move on, though: I said earlier that there were nine tracks in the game, but then later said there were three main ones. To clarify, the game has three locations whose names I already mentioned, and each has three variations to the same basic race track. From an aesthetic standpoint, this means there aren’t many new things to see. You’ll notice an increase in the number of sharp turns you’ll have to make, but the basics of what you saw in Asia Variation 1 will be present in Asia Variations 2 and 3. The same holds true for both Europe’s and the USA’s tracks. Even less surprises await with the customization you’re given for each car you unlock. After earning so many points, you’ll notice that the latest car on your selectable roster can obtain one of four different color schemes, the first of which is the default with which you started. And… that’s the extent of the customization. No, it’s not much, but it serves its purpose. Not helping this is the general blandness of the car designs themselves. After a while, only the controls would tell me what the differences between the cars I selected were. Don’t get me wrong “â€ what variation there is to the graphics in each respect is okay. The problem is that nothing in particular stands out. This won’t bother you much once you’re actually on the race track, though. The kinds of sounds you’ll hear in this game are, in essence, stock racing game sounds. Engines rev up when you’re accelerating or boosting, and cars crash against obstacles with a noticeable clang. Said clangs differ a bit depending on whether or not you hit a barrier or another car. The cones make a subtle ba-dump noise when you collide into them, though they’re awfully quiet while they’re flying down the street. Lastly, the music is okay, but only Europe’s tune caught my attention “â€ in the sense that I’d hear one part of the tune every time my ears happened to be listening, not in the sense that it’s good. In general, the over all audio quality in the game is nothing special in either a good or a bad way. This game is run almost entirely on the DS’s buttons. 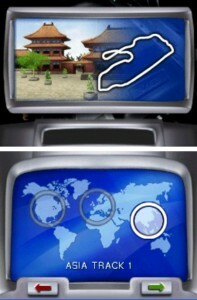 The directional buttons are used for both scrolling through the menu and for steering the car left or right. The A button accelerates; the B button brakes. The X button switches the camera to let you see what’s behind you. The Y button supposedly boosts the speed of the car. Finally, you use the stylus in order to help scroll through certain options and to select what color you want to have on your car. All in all, the need for and use of the stylus feels the most tacked-on in this respect, but the other buttons, sans Y, work wonders. Each car from which you can choose comes with a star rating in four categories: Acceleration, Speed, Brakes, and Steering. If, for example, you see a car with a Speed rating of three stars, this means that it’ll be faster than another car that has just two stars in the same category. The more stars you see in Steering, the better the car will respond to your wanting to turn either left or right. The star ratings go from one to five with the latter being the best. You’ll be able to feel the differences as you go through the various cars, but they may not feel like much at the beginning. Part of this is due to the differences’ being subtle with the first couple of cars. Another part of it, though, is due to the nature of the competition. I don’t know whether or not the programmers wanted you to feel like you’ve won by the skin of your teeth, but that’s pretty much the only way you’ll win. This quickly becomes subject to the law of diminishing returns: The first narrow win will exhilarate you, but the fifth or sixth? Not so much. And why does this occur? Because the competition is either a noticeable distance ahead of you or right on your tail. You can win first place; you just have to avoid hitting anything on the way to the finish line. Unfortunately, the competition never seems to make as many mistakes as a human player would. Like I said before, though, the other buttons work wonderfully. The cars respond well to player input, and the basics of racing still apply. Like braking before sharp turns, for example. Or staying close to the inside of the curve in order to jump ahead one spot. Those tactics will help you get one spot closer to first place. The game’s controls may have one or two hiccups, but the rest are simple enough for anyone to figure out within a minute. You can preview everything you could possibly unlock after clearing the Stage 1 tracks. An earlier example I mentioned earlier, the Time Attack Mode, allows you to see every track you will ever see in the game before you’re able to race on it in Camaro Mode. This spoils any surprise that could’ve been present in a game that lacks them. You may not be able to see every car’s specific default design out of the gate, but you can see their star ratings; and of course, the best car isn’t available until you beat everything else. But being able to preview the prizes could also be an incentive to try and unlock them, yes? Of course. Problems begin to set in once you inevitably lose one of the challenges. As I said before, each challenge offers only so many points that you can earn. Success offers the biggest reward, obviously, but losses do so as well; they just don’t give you as many points. Losing a Cone challenge, for instance, nets you 36 points out of 1000. You can then keep trying the Cone challenge until you reach that 1000-point mark. The same holds true for the other challenges… which means, you may find yourself making a dozen retries. This quickly becomes tedious and boring, and you may start to wonder why you’re bothering after a while. By the end of the day, either you’ll feel addicted to this enough to keep playing it, or you’ll think having to redo challenges over and over is more of a hassle than it’s worth. In this game, you’ll notice a few details the moment you begin a Competition challenge. One, the AI-controlled players will always accelerate faster than you. Two, they never make as many mistakes as you will. Three, at least one of them will gain a significant lead on you. Four, you can never do the same on your competition. And finally, that unexplained Boost feature doesn’t live up to its name. 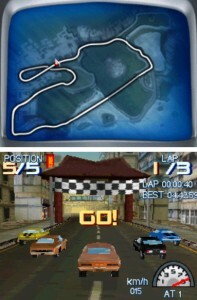 You can still win, provided you know a given track well enough to avoid colliding into edges or other cars. It’s just not likely to happen on your first run through. To be fair, of course, the balance would be shot to pieces if it were too hard or too easy, so perhaps this is just one of those areas that’s hard to gauge for a racing game. All of these elements combined make for either a satisfying win against unlikely odds or an infuriating experience with little pay-off. I’m not entirely sure if I should praise the game or slam it for provoking feelings that range from relief and excitement to frustration and anger, so I’ll give a little leeway to the game’s balance rating. While playing, I was wondering to myself one major question: how is this different from any other racing game that’s ever come out? I couldn’t tell you. Sure, other titles may have different cars, different physics mechanics, and different courses. 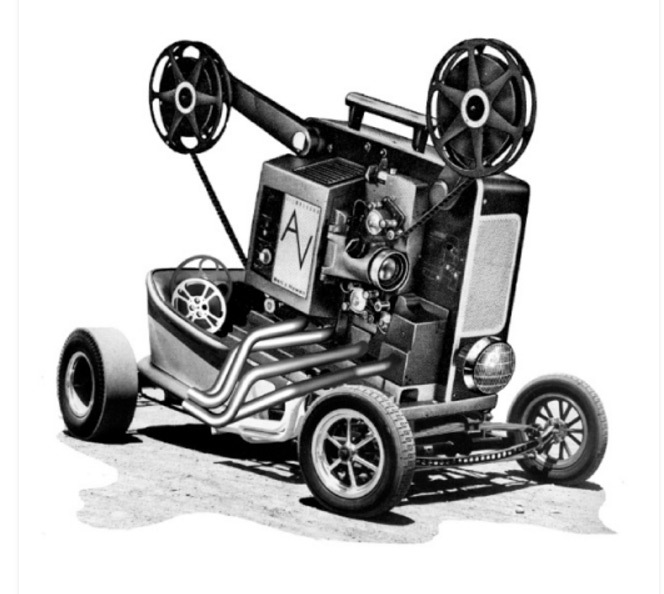 Some may provide you with a means of literally beating down your competitors as you drive at top speed. Others may provide a mode that has nothing to do with racing but still involves driving. But at the end of the day, you’re still picking a car with which to drive down a track with various obstacles that always include curves and sharp turns. In this respect, Chevrolet Camaro: Wild Ride shows the most basic elements of every racing game ever, and while that’s not bad per sé, it reveals just how boring one of these could be without any notable features, modes, or extras. Granted, I could make a similar claim about most sports games, but that would be unfair. Chevrolet Camaro: Wild Ride just has the unfortunate luck of being less than remarkable. As I mentioned in the Balance section, you can preview all the unlockable content after playing for only a short time, so nothing in that respect is going to surprise you. 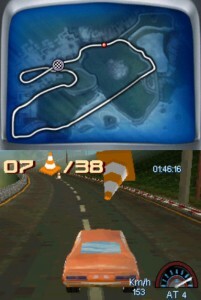 However, the preview alone can be incentive enough for players to go on a racing spree and obtain the points necessary to, say, try out the next car on the list. In that sense, yes, an addictiveness factor does exist. I know it gripped me, even for just a short time. And therein lies the other side of the coin: a player may look at what there is to unlock and may not be interested. Also, the more frustrating parts of the game’s challenges can kill player interest. Think about it: why go through all that trouble to win a race just to obtain the next car up that might have made the race a little easier? You’re about to move onto the next race anyway, which may very well be just as hard as the last one with the old car! At this point, players would just put the game away. The bottom line is that there is an addictiveness factor. Whether or not it sticks for longer than an hour is up in the air. Much of what will determine how good the appeal factor is has already been discussed in the Addictiveness section, so I won’t repeat myself. The one other piece to this is, of course, whether or not this will grab the attention of anyone who isn’t a dedicated racing game fan or even those who are. All in all, I can’t see this game’s appealing to anyone outside of the former group, and even there, potential players may shy away. 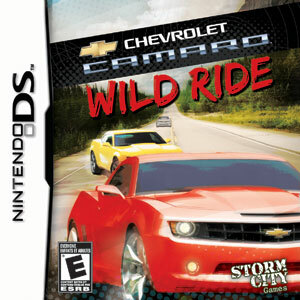 Chevrolet Camaro: Wild Ride really is just about every racing game you will ever play but without anything to help it stand out aside from maybe the car’s band name. This makes for a game that would have trouble appealing to the niche audience, never mind any others. And this is after you factor in that this is more of a supplement to the Wii version. Maybe the production on the game was rushed or just not given the attention it needed. Either way, the relatively minimalist approach to the final product is obvious even if you don’t progress too far. I feel like more could’ve been done with the game, but it just didn’t happen. Regardless, this will be a detriment to its overall appeal. I can’t say much about the extras because there aren’t any extras, so instead, I’ll talk about that Gearbox item in the Options menu. You can either choose Automatic or Manual which, if you know cars, would bring to mind the difference between a car with automatic shift versus manual shift. In the game, this is more like choosing between allow the car to move when you press A versus disallow the car from moving when you press A. You can move backwards with the Gearbox in Manual, but that doesn’t help in races where all the cars move forward. Needless to say, the Gearbox is set to Automatic by default, and you’ll save yourself some frustration by leaving it be. In addition to the Boost, the instruction manual could’ve explained the differences between Automatic and Manual Gearbox, and maybe how you’re supposed to move forward if you toggle the latter. Such isn’t the case, though. Chevrolet Camaro: Wild Ride has all the basics of a racing game and little else. On the plus side, it’s easy to pick up, play, and put down; the controls become intuitive within seconds. However, there’s nothing to make the game stand out from its competitors due to a lack of extras, an AI that will be seen as either good or cheap and nothing in between, and two features whose functions have to be deduced through trial and error. 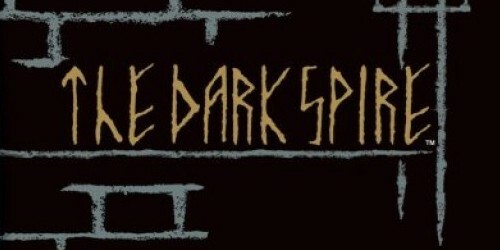 The game has noticeable ups and downs, and the two equal out to nothing special “â€ literally. It’s a decent game, but it won’t grab anyone’s attention too well.